I saw this quote about a year ago and tried to feel offended, as a purist, roughly – - if one can be roughly a purist, which in itself sounds kind of ironically Parker-esque. 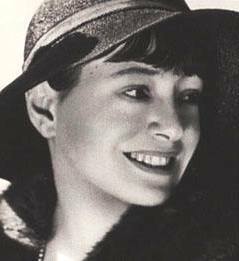 Dorothy Rothschild Parker’s preeminent status as poet, screenwriter, critic, editor, and my hero notwithstanding, I felt disappointed in her, artistically speaking. But then I had an interesting year. It was a year in which I worked long hours for various publications and companies on several freelance and consulting projects which ended up dying on the table – lack of funding, lack of space, lack of decisiveness. To the credit of everyone involved, I was paid for my time. But it still felt ultra crappy, I cannot lie, to have miles of files languish in the dark recesses of digital memory. I am Sisyphus, hear me whine. It was a year in which I found out that being better-known doesn’t equal well-known, and in which I learned the exact, very round, dollar value of both when you are roughly a purist. I learned what makes web content viral, but replicating it in a lab – that’s another story. Public mood is, as they say, a fickle mistress. My fame fantasy is not quite dead though, just frozen until they discover a cure. Raw statistics say that very few people make it to the truly big leagues in any industry, publishing being no exception. That type of success requires an elusive mixture of talent, perseverance, and being in the right place with the right people in the right mood at the right time. Somewhere at the bottom of a shot glass in SoHo is the key to the Kingdom of Words, but I am too tired to play Hermione in that quest, and not at all sure that I wouldn’t be left to drown given some of my opinions. It was a year in which I pursued several dreams at once in the hopes that one of them would grow some legs in reality. In the end – one of them did, and it’s the one where I remain unnoticed as an artist and, in the meantime, unfulfilled as an entrepreneur. Nor do I revolutionize the world as an activist / journalist, which requires, inter alia, a deep political education, a fierce time commitment to being constantly in the middle of things, and a very thick skin. Things I lack, in the meantime. I take my hat off to those of my colleagues, if I can even claim to call them that, who are truly making a huge difference in this way. The dream that stuck is the one in which I finally return to corporate routine and the standards of work ethic that brings with it; cool and talented co-workers I can see in person daily; and being remunerated, – every few weeks! – for my hard work and applied skills, which will be a most welcome change. Yes: After a decade of denying my inevitable habitat, I’m going back to work in a hi-tech office. Hello, again, sweet nanny. There is some fresh soup you can heat up for the kids; I made it at 2 am. Of course, there are more dreams on the horizon, but they all require cash, and a certain amount of stability that comes with doing things in the proper order and on a realistic scale (HT Shira Abel) on the way to greater things. If I sound high on the suburban crack-pipe, it’s because they were on sale at Target. I will still be blogging here, of course. It keeps the freezer running – - and the fame dream, like the soup, mustn’t thaw. Not just yet. I still have my well worn copy of Dorothy Parker…while dating in the last century…I read and reread her story about “the phone call”…it was so real…before the times women just called men and asked them out!! wow S, I haven’t heard her name in decades! !